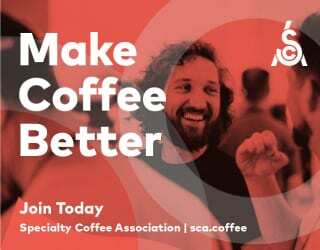 Let’s say a filter coffee at your local specialty café costs US $4.00. 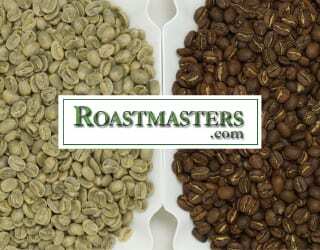 But how much did the green coffee required to make it cost – both to buy and to produce? 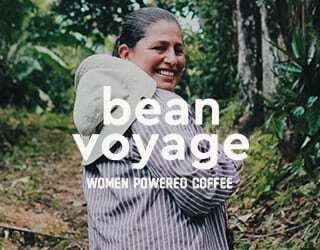 The third wave is demanding fairer prices for better-quality coffee. However, without knowing how much farmers need to spend to produce a pound of coffee, and how that varies across countries and production methods, it’s hard to know what “sustainable prices” really are. 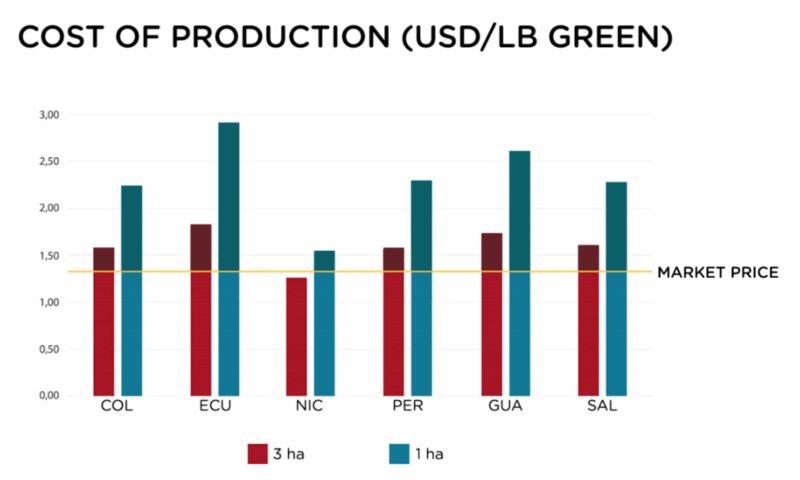 This is why Caravela Coffee, as part of its PECA or “coffee grower education” program, has recently published a report on the cost of production in six Latin American countries: Ecuador, Colombia, El Salvador, Guatemala, Nicaragua, and Peru. 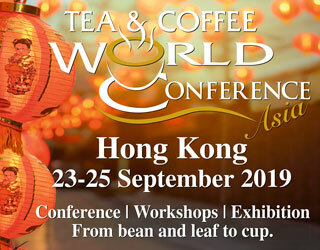 To find out exactly how much coffee really costs, I spoke to Luis Guillermo Cortes, the PECA Program Director. 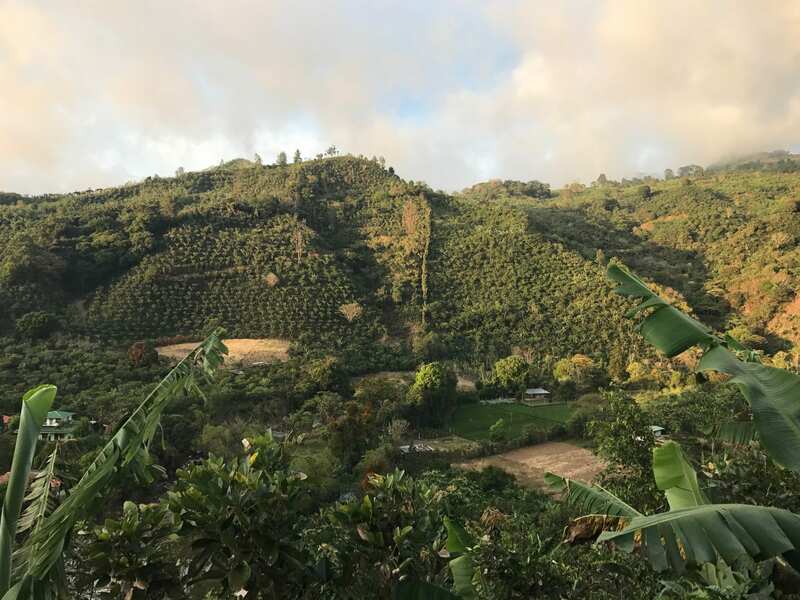 As Caravela Coffee’s report states, “the sustainability of the coffee industry starts by understanding costs of production and the variables that affect it.” Until we know this, sustainability is impossible. Luis tells me that “the majority of coffee producers are not aware of how much it costs exactly to produce a kilogram of coffee.” This can leave them unable to effectively budget and allocate resources throughout the year, putting them in a vulnerable position. Caravela Coffee’s aim is to build on this report by creating an app that will help farmers track their individual expenses and budget accordingly. But until then, at least we now know how much, on average, it costs to produce coffee in six countries – and what some of the biggest expenses are. How Much Does This Data Tell Us? 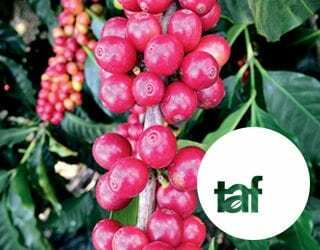 The size of the farm was assumed to be three hectares with between 4,500 plants per hectare (Ecuador) and 5,500 plants per hectare (Colombia). Luis tells me that this is because “three hectares is what a family needs to survive; with one hectare of land, a family cannot survive.” It’s worth noting, however, that costs per hectare (or pound) will always decrease as farm size increases. 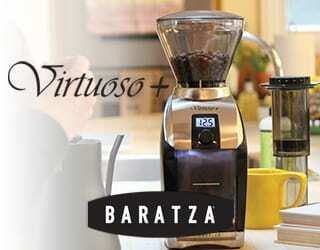 Each farm was assumed to produce 25–30 bags of parchment coffee per hectare. Producers were assumed to have 15% of their planted hectares under renovation each year. Caravela Coffee’s data is a useful starting point. 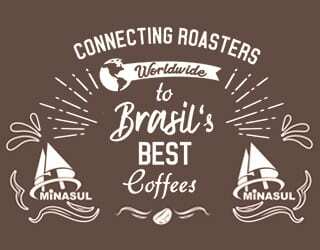 However, it’s important that it continues to be updated and that everyone in the coffee industry – producer, trader, roaster, and more – remains aware of the impact of local changes. 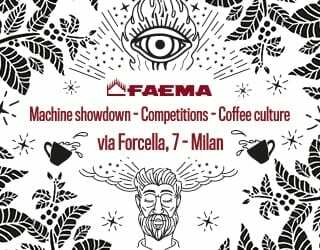 With that in mind, it’s time to look at Caravela Coffee’s findings. Unripe coffee cherries on the branch. A quick note on labor: “Harvest (labor)” refers to payments made to seasonal coffee pickers, while “Labor” refers to general year-round labor. “Administration” also includes labor: it is the equivalent of one person hired at minimum wage for each country. There are striking differences between the six countries. Ecuador has the highest total cost of production while Nicaragua has the lowest. The labor cost (harvest, administration and general labor combined) explains much of the variation in costs. However, it’s worth noting some discrepancies. El Salvador, for example, spends the least on labor but allocates the most for renovation. Nicaragua has the lowest costs overall, especially in terms of labor, but allocates far more for infrastructure – something that is even more evident when we look at cost distribution by percentage. This is because infrastructure includes the drying facilities. In Nicaragua, farmers generally pay by the pound for a mill to dry their coffee. 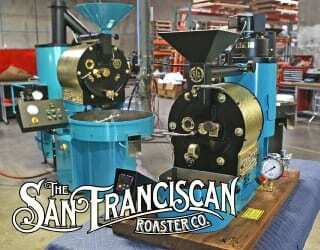 Given the data above, Caravela Coffee calculated the costs of production per pound of parchment coffee. But remember that this is the average cost of production for commodity coffee. 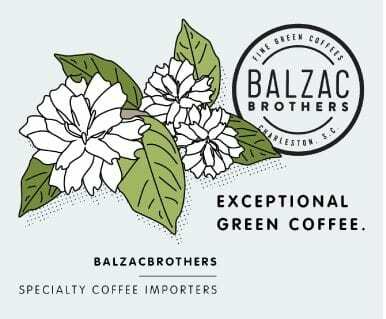 Luis says that specialty coffee, such as what Caravela Coffee purchases, will typically cost more. 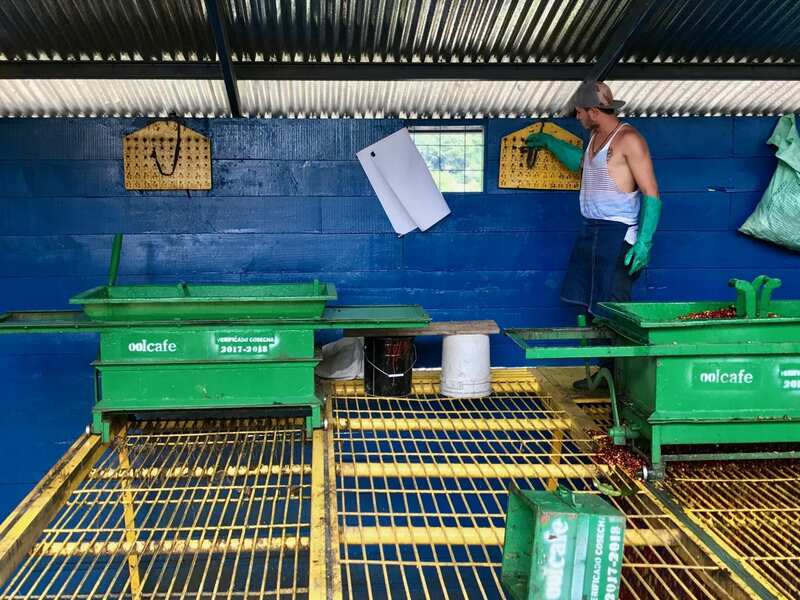 This is due to increased wages for pickers (which reflect the fact that selective picking is harder and more time-consuming), greater investment in wet milling and drying, and more. As we can see, there is a significant difference in the cost of production, even in countries that are geographically relatively close. Above all, the data points to the need to treat each country individually. A “sustainable price” in Ecuador is not the same as a sustainable price in Nicaragua. The cost of supplies in El Salvador is different from in its neighbor, Guatemala. So, what have we learned about each country? 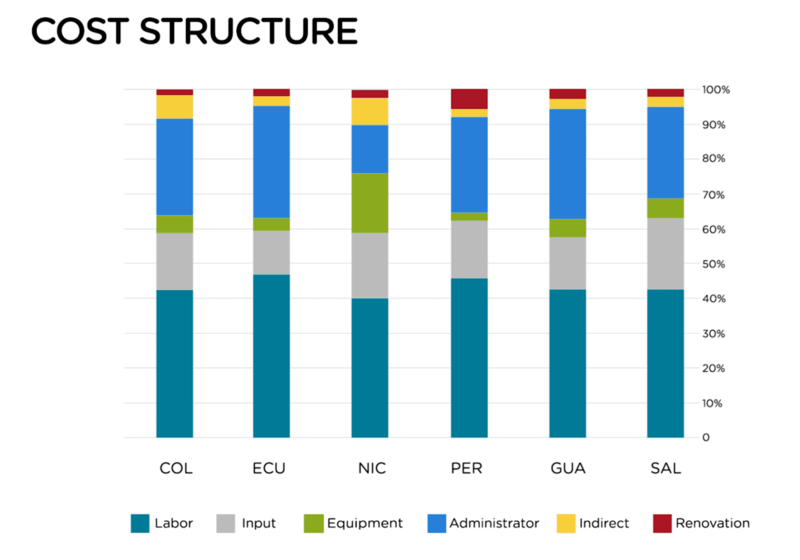 Colombia: Around one-third of costs go on administration, and another third goes on harvest-time labor, meaning that labor shortages or changes to workers’ rights could have a significant impact here. Renovation costs are slightly lower than average. 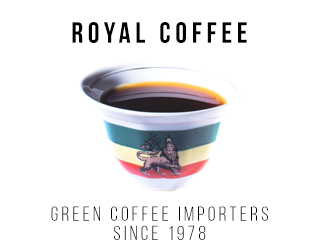 Nicaragua: One of the few countries where coffee production costs less than the international market rate (barely), administration is less expensive but infrastructure costs more. Supplies make up a larger percentage of the budget but, in real terms, are relatively inexpensive. 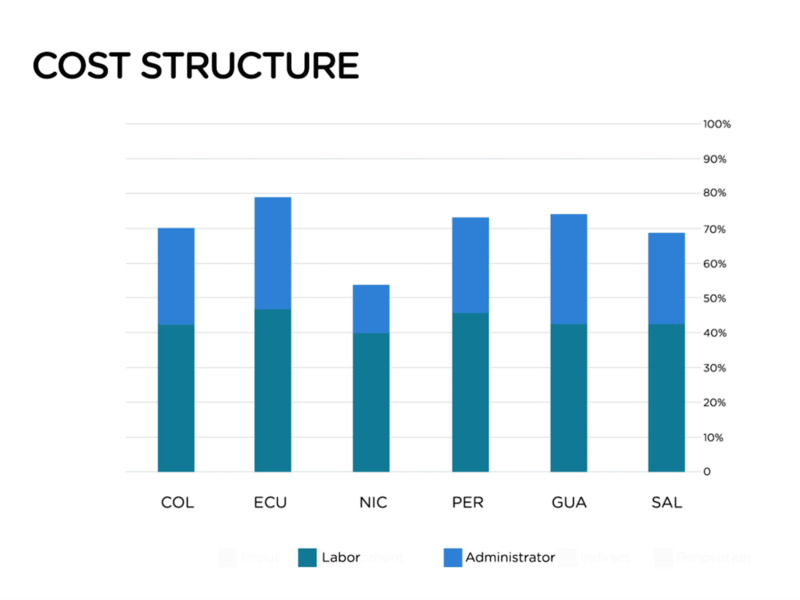 Peru: Harvest-time labor is this country’s biggest expense; out of all the countries surveyed, only Ecuador spends more on it in real terms – and at 40%, no other country dedicates such a large percentage of their budget to it. Guatemala: Another relatively expensive country, Guatemala’s harvest-time labor makes up a lower percentage of their outgoings. However, the amount in real terms isn’t particularly low, compared to its neighbors. El Salvador: A relatively cheap country in which to produce coffee, El Salvador still invests significant money in administration. Harvest-time labor costs are low, however, while renovation is relatively high. But it’s not just enough to understand how much everything costs. We need to understand why and how this affects quality, profitability, and sustainability. 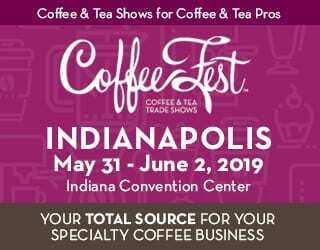 Luis says, “In coffee, more than 70% of the total production cost goes towards labor costs.” And roughly 28% of this is actually administrative labor costs. This means that the cost of labor is directly linked to the profitability of a Latin American coffee farm. And often this factor is outside of producers’ control. Luis also tells me, “In the past five years or so, the labor cost has increased quite a lot.” This is because younger generations are generally less interested in working on farms, instead seeking more profitable work in the city. In turn, this has helped fuel a labor shortage and driven up costs. But this can have a troubling knock-on effect. Luis explains, “This means that if the price of coffee goes down, the producers will stop fertilizing.” With such a small amount of their budget dedicated to it, there is little flexibility for cutting costs. Yet they cannot prioritize fertilizer over the wages they have to pay seasonal workers or, say, providing food for their own family. “This imposes a great risk for the following year,” Luis stresses. Reduced fertilization will reduce productivity, which will mean less money earned. In turn, this will mean even less money for fertilizer. The price of coffee fluctuates over time, making it hard to calculate the exact profit margin for each country. However, on June 11th, 2018, the international market price (the C price) closed at US 117.10¢ per pound. In Ecuador, where the cost of production is US $1.91/lb, a farmer paid the C price would make a loss of -38.7%. Nicaragua has a slightly lower production cost of US $1.05/lb, leading to a profit margin of 11.4%. Peru would have a profit margin of -8.6%, Guatemala -16.4%, Colombia -1.7%, and El Salvador -8.6%. In other words, most countries cannot profit when only paid the market price. And Luis is of the opinion that farms require a minimum of a 30% profit margin to survive and pay for basic things such as education, food, and healthcare. 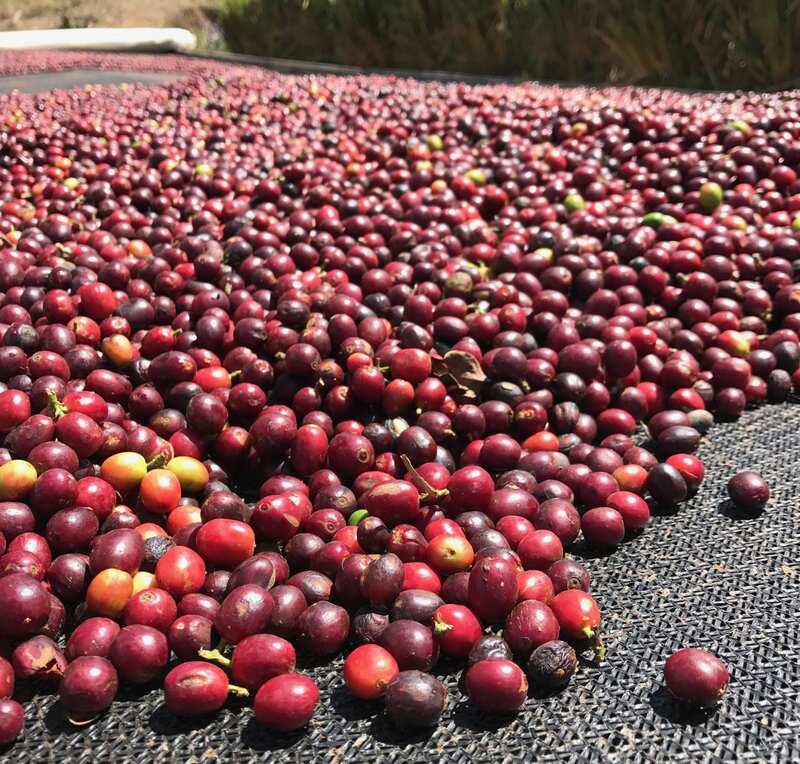 When Caravela Coffee compared the market price to the costs of production in 2017, they noticed a serious deficit for both one- and three-hectare farms. The market price is lower than what it costs to produce coffee in nearly all of these six countries, threatening the sustainability of the industry. 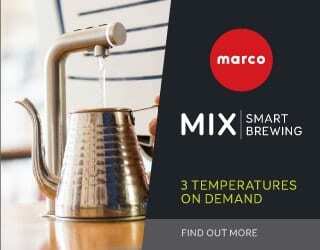 Whether you’re a producer, roaster, barista, or consumer, this study is relevant. With the app that Caravela Coffee is designing, you’ll be able to record your costs more easily. Luis says that this was designed to help you manage your farm in terms of budgeting and resource allocation. As you’re paid just one to three times a year, you know how critical this is for ensuring a successful harvest the following year. What’s more, it will help you evaluate your farm’s performance. In turn, you can allocate resources to the most profitable areas, resulting in increased productivity and profitability overall. Lastly, the study gives insights into how much you should be selling your coffee for in order to operate sustainably. Additionally, Luis highlights that buyers need to understand the importance of having the right resources available at the right time. We’ve seen how resources can understandably be a producer’s last priority when funds are low – and we know that this is risky. 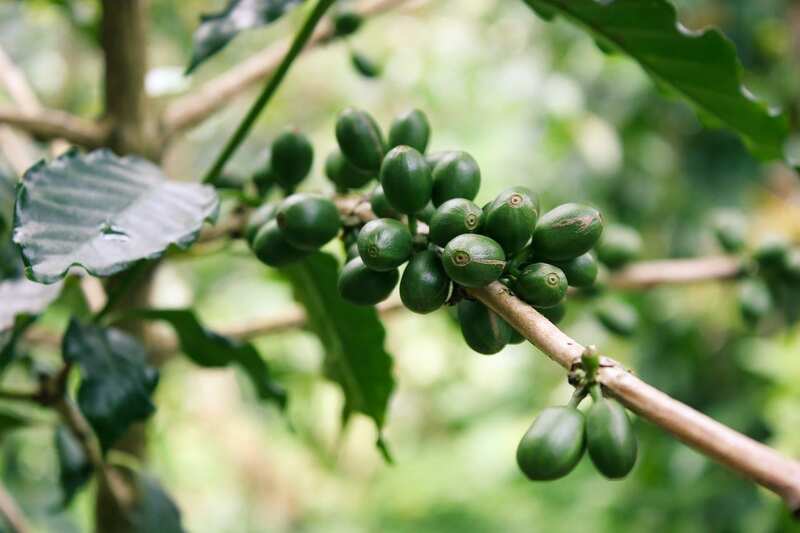 “If the producer doesn’t control certain diseases or pests at the beginning of the production period, say the coffee borer beetle, their crops will be severely affected for rest of the production period,” Luis stresses. Using this study, he continues, “the market can investigate and consider how they can promote resources for the producers, given the cost, to help them invest more in their farms.” In turn, this will lead to increased productivity – something that benefits the entire industry. 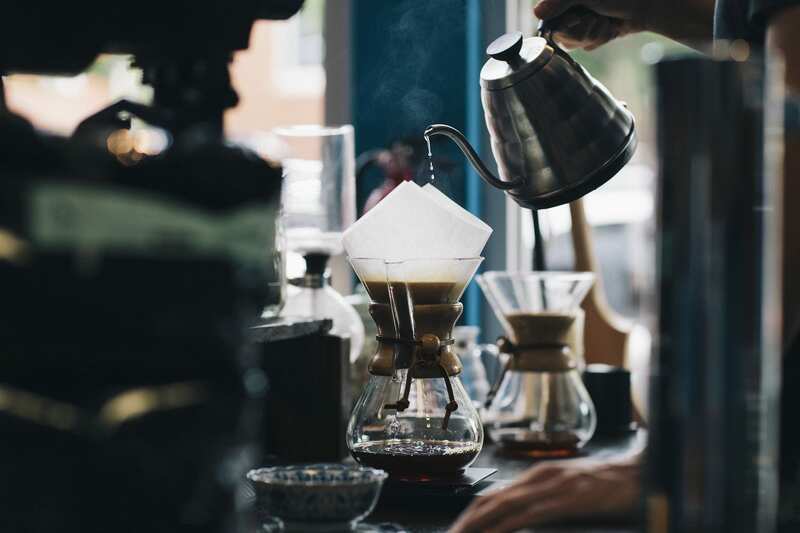 Chemex coffee being served in a coffee shop; there is often a big difference between the prices paid by consumers and those paid to producers. 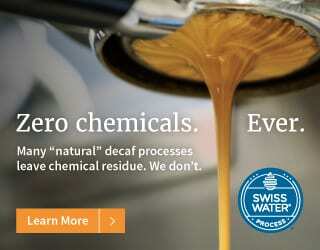 So, what can we, as a part of the coffee industry, do today to ensure coffee’s sustainability? How can we collaborate? Written by Sunghee Tark. All quotes translated from Spanish by the author.